coffee break tuesday | DEBtastic Reads! 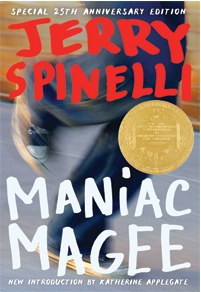 I just learned that Little, Brown plans to release a special edition of Maniac Magee by Jerry Spinelli, in honor of its 25th anniversary. Has it really been 25 years? Wow! 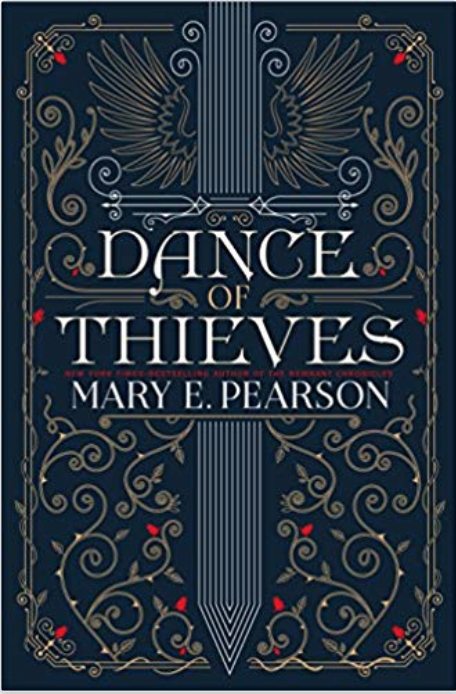 I cannot wait to get my hands on this special edition with an introduction by author Katherine Applegate. 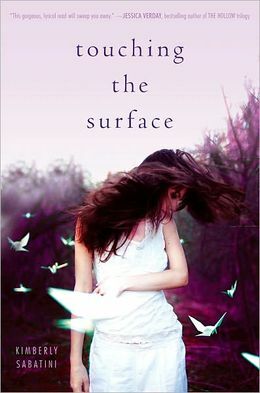 I have long loved this book, and its author. In honor of Maniac Magee’s 25th anniversary, I’m reposting a fun interview that I conducted back in 2010. Enjoy! What was your first published title and what was it about? SPACE STATION SEVENTH GRADE. Fractured life of a thirteen-year-old boy. How long did your journey take to publication and what were some significant events along the way? SPACE STATION was the fifth book I wrote. The first four nobody wanted. Somewhere along the line I stopped being so precious about every word and began writing faster. The faster I wrote the better I got. Those four failures were my training ground. Were there bleak days when you felt that you’d never get published? How did you deal with that? A quarter of a century passed from the time I decided to be a writer till my first novel was published. How did I deal with it? I noticed that the morning after each devastating rejection–I could have papered my apartment with the slips–a funny thing happened: the sun came up. The world took no notice. Why should I? I kept writing. Who/what were your sources of inspiration along the way? How did it/ he/she/they help you the most? What was the best thing about getting your first book published? If I’ve changed it’s probably evident only to others. I’m still the same to me. Advice: Write what you care about. Welcome to Coffee Break Tuesday, where I sit down with fabulous authors and discuss their writing. Please grab a mug of coffee (or tea) and join us! Today I’m having coffee with Barbara O’Connor! I’ve long been a fan of her books – and thoroughly enjoyed reading her newest MG book, On The Road to Mr. Mineo’s. When a one-legged pigeon named Sherman neglects to return to his roost with the other homing pigeons, Mr. Mineo frets and worries. In the meantime, other members of the town of Meadville, SC spot the pigeon – from Stella who wishes she could have a dog, to mean ol’ Levi and his scabby-kneed germ-infested friends, to Mutt who is known to be the town liar – and thus starts the “great pigeon hunt.” Who will find Sherman first? Welcome, Barbara! When did you know you wanted to be a writer? I’ve always loved to write. As a child, I wrote poems and stories. I wrote my first book when I was 12. It was 76 handwritten pages long. The only problem with it is that I never finished it. In fact, here is the last sentence: “Well, be careful and….” Yep. Stopped writing smack dab in the middle of the sentence. Go figure. For the record, my first published book was a biography called Mammolina: A Story About Maria Montessori. I started my writing career writing biographies. I lived in Los Angeles many years ago and decided to take a class in writing for children at UCLA. I got totally hooked. I floundered around with some ho-hum manuscripts for a while, collecting my share of rejections. After moving back East, I started toying around writing biographies for children. After a few false starts, I managed to sell my first biography to Carolrhoda. I went on to publish five more biographies with them. But my heart was still with fiction. I had written a middle grade book called Beethoven in Paradise. A friend of mine published with Scholastic and offered to send it to her editor. That editor liked it but eventually passed on it. 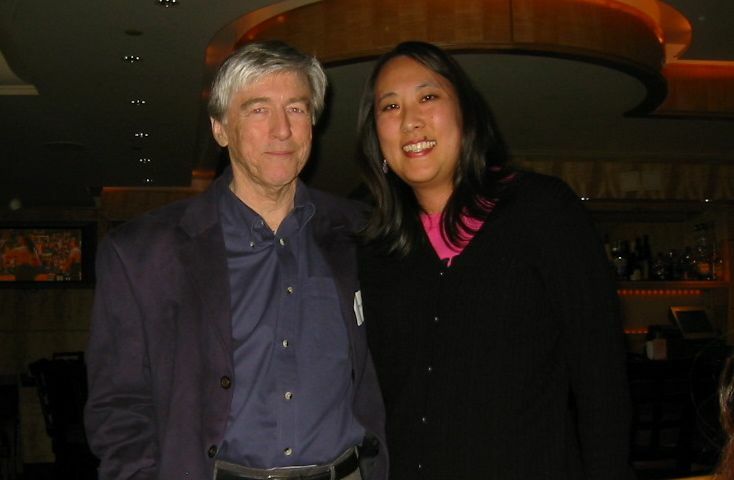 She did, however, offer to connect me with an agent, Barbara Markowitz. She sold that manuscript to Frances Foster at FSG. I’ve been with Barbara and Frances for over 18 years now. I just wrapped up my 10th novel with my amazing team. What is your most recently published book or upcoming book? My middle grade novel, On the Road to Mr. Mineo’s, came out in October. There are EIGHT points of view in that book. It damn near killed me. I know that I’m more critical of my writing now. I also tend to self-censor more than I used to because I’m more aware of reviews and adult reaction to my work than I used to be. I don’t write with the same “freedom” that I did before I was published. There’s a country-western song that goes “I wish I didn’t know now what I didn’t know then.” Ha! I sometimes feel that way. But the flip side is that I’ve set high expectations for myself. I’m more confident with my writing voice and I have pretty good instincts about when I’ve strayed from it. I’ve also developed a writing style that works for me and that comes a little easier as the years (and books) go by. Trixie Belden all the way. I recently reread Saraswati’s Way by Monika Schroeder. Having spent many years in India (the story’s setting), Schroeder nails the setting and seamlessly weaves the culture into a fast-paced story. I also just finished an arc of Linda Urban’s new book (The Center of Everything). I adore her writing voice and style. Your writing process should be one that works for you. Just because it works for someone else doesn’t mean it’s right for you. Some people have to write every day, some don’t. Some people plow ahead without polishing along the way, some don’t. Some people outline, some don’t. Secondly, listen to your instincts. If something in your work is niggling at you, pay attention to it. Maybe you’ve forced something. Maybe you’ve forgotten your voice. Maybe you’re trying to ignore a problem thinking no one else will notice. Pay attention to those things. I have no sense of smell. This can be very inconvenient when your stove is on fire, but there are other times when it comes in quite handy. Barbara O’Connor is the author of award-winning novels for children, including How to Steal a Dog, The Small Adventure of Popeye and Elvis, and The Fantastic Secret of Owen Jester. Drawing on her South Carolina roots, Barbara’s books are known for their strong Southern settings and quirky characters. 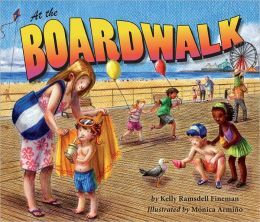 In addition to six Parents Choice Awards and five state children’s book awards, Barbara’s distinctions include School Library Journal Best Books, Kirkus Best Books, Bank Street College Best Books, and ALA Notables. She has had books nominated for awards in thirty-eight states. Barbara is a popular visiting author at schools and a frequent speaker at conferences around the country. To learn more about Barbara and her books, check out her web site, or follow her on Twitter!